Today, I want to talk about a moisturizer that I have been obsessed with lately. It’s not normal for me to say that I’m obsessed with a moisturizer because I find it is hard to love moisturizers because I have oily acne prone skin and finding the perfect one for me has always been a struggle. 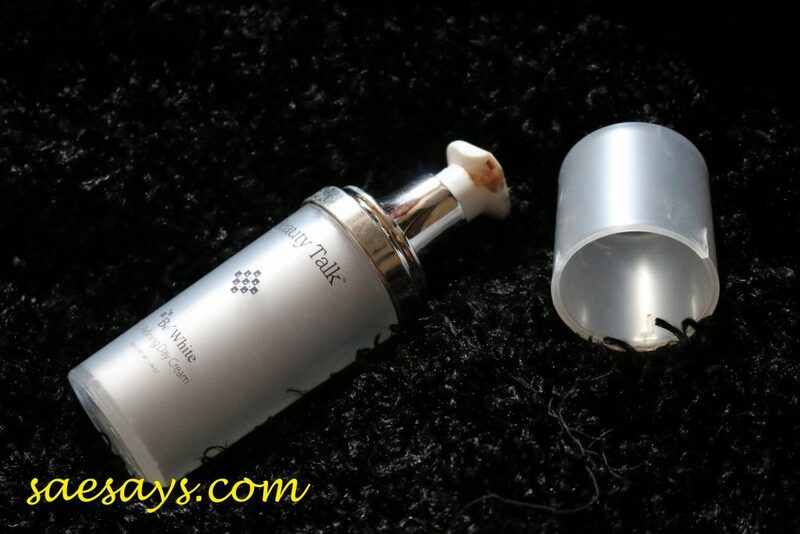 The product that I would like to talk about in this post is Be White 3D Refining Day Cream by Beauty Talk. What I look for in a moisturizer? 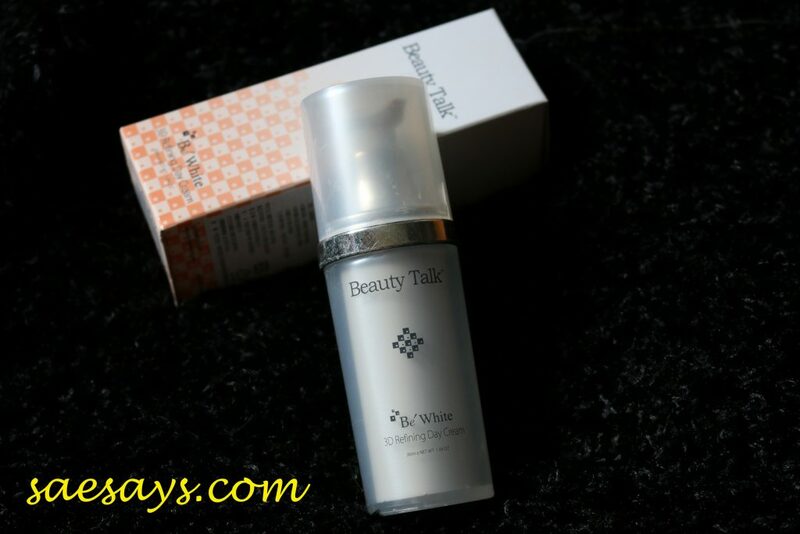 I never heard about the brand Beauty Talk (apparently it’s a very well known brand in Taiwan) before and I don’t exactly remember why I bought it in the first place but I’m glad I did. 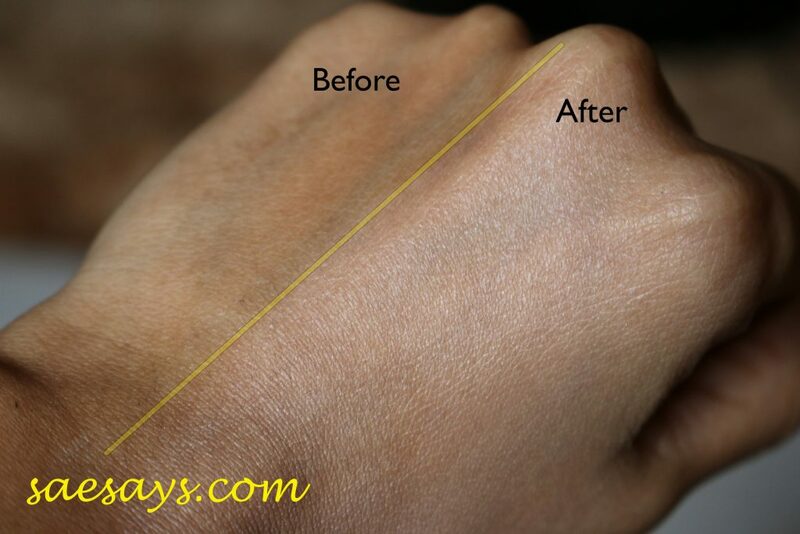 The first time I used it, I remember I was worried by the looks of it because it does not look like any other moisturizer that I’ve ever used before. It’s tinted like a foundation and it really had me worried for a second. The product comes in white plastic bottle and it has a pump. I’m always thankful when a product comes with a pump bottle because that just makes application process easier. Now, let’s look at the ingredients. Vitamin E: Prevents oxidation to the outer skin layer, moisturizes and guards it from sun-damage, leaving it soft and hydrated. Acetyl Hexapeptide-3: Smooth fine lines, provides deep hydration to improve and firm skin texture. Acetyl hexapeptide-8 (Argireline): Peptide shown to reduce wrinkles associated with facial expressions. Hydrolyzed Soy Protein: Helps bring back a youthful radiance in skin care. Hydrolyzed Wheat Protein: Excellent tensor & film-forming properties to increases firmness of the skin. Acerola Fruit: Enriched with Vitamin C to combat melanin production, reduce the deposition of pigmentation and age spots and provide multiple protections from harmful UV rays. Iris Florentina Root Extract: Revitalizing anti-aging ingredient that is rich in natural isoflavones to reduce the depth of wrinkles, improves skin hydration and elasticity for an overall improvement in skin tone. I don’t know about you but the ingredients list is a bit intimidating for me because I don’t understand at least half of it. Even though not all of the ingredients are naturally derived but I’m so relieved because my sensitive skin does not react badly to the product. First, it provides me with sufficient amount of hydration without leaving my face too oily. This is a must try moisturizer if you have with oily skin like me. 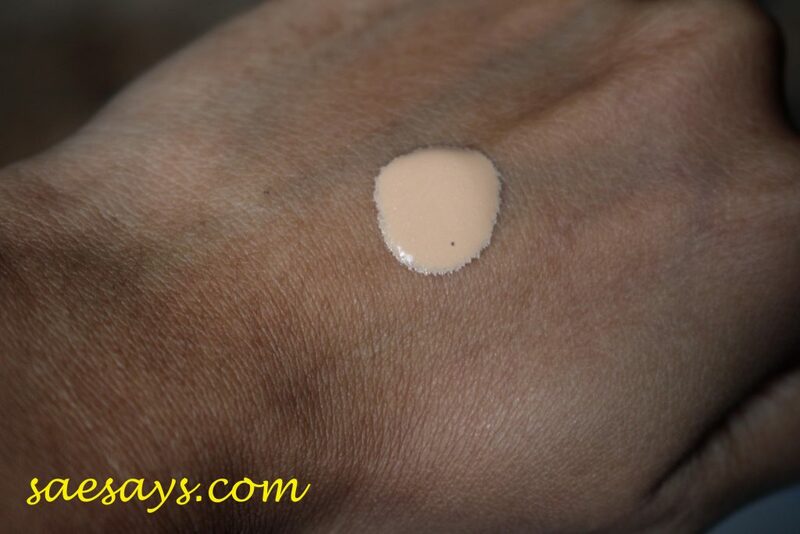 Because it’s tinted like a foundation, I also find that it can act as a makeup base. Upon application, I can see that it covers a lot of my redness and blemishes. That just saves up a lot of my foundation because I don’t need that much foundation anymore to hide all my imperfections. If your foundation oxidizes on your face no matter what you do, I believe this moisturizer can help you preventing that from happening. My foundation stays on fresh and clean through out the day. If you read the ingredients list, you can see that it contains a lot of materials that can be useful to your skin. I personally believe that after finishing my first bottle, my skin looks more refine and a lot my acne scar has faded. 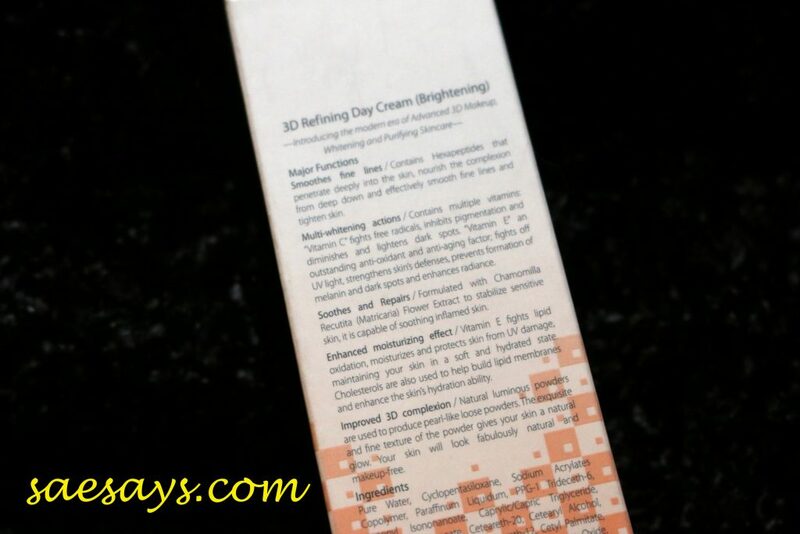 It’s exciting to know that the 3D Refining Day Cream by Beauty Talk not just provides me with enough hydration but it also can help to improve my skin looks. This moisturizer contains Acetyl hexapeptide-8 or better known as Argireline. Argireline is a really common substance in skin cares products that claims can reduce wrinkles that’s caused by facial expressions. I’m a teacher and in my line of work, I have to be expressive when I’m delivering the knowledge and hence all the wrinkles I have on my forehead. I can’t say that I’m seeing any drastic improvement on my forehead but I can say that those wrinkles look quite faint. Yeay right? Can you notice how it neutralises the green I have on my the back of my hand? If I’m being really honest here, the only thing I dislike about this product is the bottle it came with. In my opinion, it will be much more practical if it comes in a clear plastic bottle instead of white bottle. It’s just hard to see how much products left in the bottle. I ended up using other moisturizer for couple of weeks because I didn’t have extra with me and it was out of stock at Hermo.